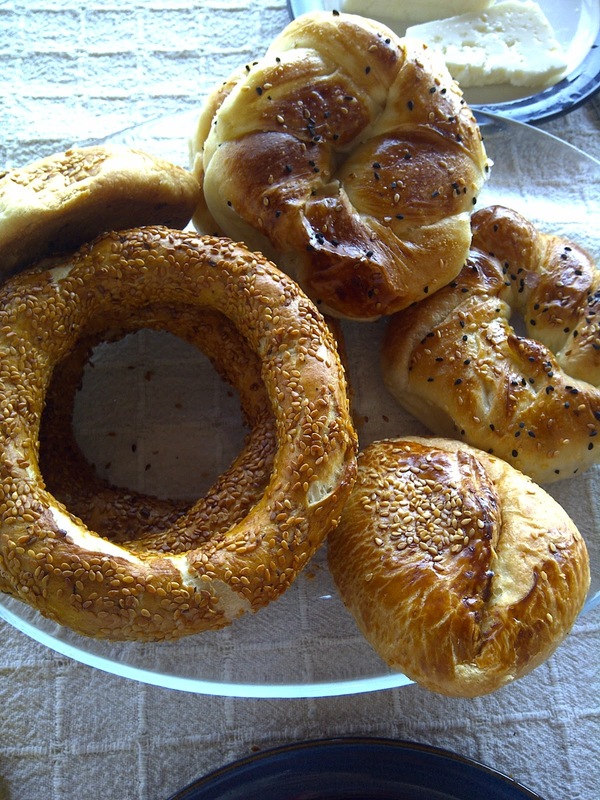 Simit is probably one of the most popular snacks in Turkey. It is great for anytime of the day... we have it as a type of bread with breakfast in the morning, with ayran ( a salty yogurt drink) for a quick, light lunch, with cheese or plain with tea in the afternoon... or anytime the fancy takes us because it is just too good to pass up. We have found a spectacular Simitci, in Ortakent, Bodrum. There always seems to be a line in this little store. One taste from their simit let's you know the reason for all the demand. 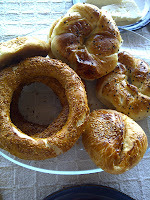 Simit can be found all over other major cities as well. 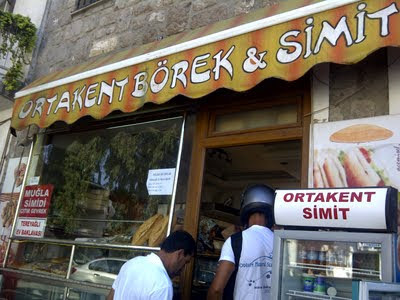 In Istanbul you can find it on the streets or stores that are called Simit Evi (House) It is one of the things I definitely recommend to any traveler to Turkey.